To achieve lower production costs, Adidas has mass-produced sport shoes in Asia. However, the process comes with an 18-month lapse between design and store delivery, which, for customers, is becoming an increasingly unappealing wait. Customers are looking for unique, customizable products and want immediate access to the latest styles. But because the traditional manufacturing model is just not meeting these demands, Adidas is creating a “speed factory” concept to manufacture bespoke sport shoes at locations much closer to points of sale. Similarly, Okuma, a machine tool manufacturer in Japan, has developed a complete milling process capable of operating autonomously, 24 hours a day, seven days a week. The integrated process includes the ability to automatically select and change cutting tools as required and provide raw materials and supplies without any need for human intervention. Workers are onsite to supervise plant operations by means of monitoring applications on tablet devices and to perform high value-added tasks. Beyond that, the factory is otherwise completely automated. These examples provide a glimpse into a fourth industrial revolution that’s taking place right now—and that will transform both our current global economic paradigm and the underlying mechanisms that determine how we create economic value. As with previous three industrial revolutions, it will be based on the rapid adoption of new and transformational technologies that will challenge all our assumptions and change everything we think we know about manufacturing. It will also mean that workers, manufacturers, and governments need to take note and begin to either prepare for the inevitable or be left behind. The first industrial revolution was sparked by the invention of steam-based machines that mechanized previously manual labor and enabled incredible scale. Next, electricity enabled the assembly line and, along with it, the rise of mass production. The third major industrial advancement was brought by the invention of computers, which enabled the automation of robots and machines that could be integrated into assembly lines to either enhance or, in some cases, replace human workers. Today, manufacturing is evolving from the model and mindset that guided the previous three industrial revolutions, which focused on centralization and mass production to achieve economies of scale, to one based on mass customization and flexibility with actual production of goods located as close to the centers of demand as possible. Rather than creating and managing inventories, manufacturers are looking to build fully integrated supply chains that dynamically adjust and adapt to real-time requirements and upstream supplier and consumer demand. This includes the ability to both be predictive and take corrective measures in terms of production adjustments in real time. What makes this transformational and “revolutionary” is that manufacturers are looking to accomplish all of this with minimal or ideally no human intervention throughout the end-to-end production process. Dubbed Industry 4.0, this manufacturing model relies extensively on automation and data exchange amongst manufacturing technologies and includes the integration of cyber-physical systems, the Internet of Things (IoT), cloud computing, and Big Data. 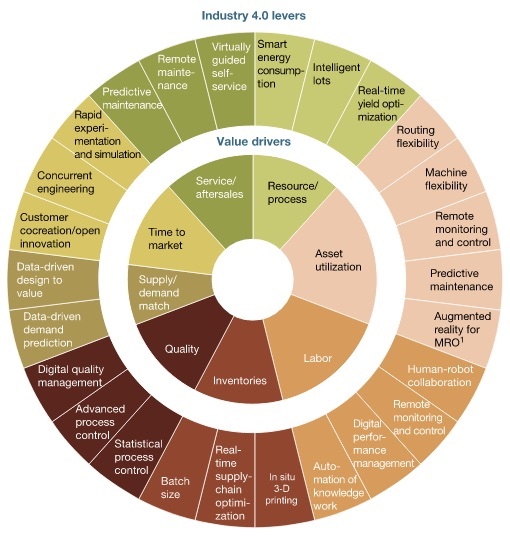 The Industry 4.0 model seeks to essentially turn the factory itself into a computer or a “smart factory.” Within each smart factory, modular manufacturing processes can be developed by means of cyber-physical systems merging computer technology into the machines themselves, not simply for remote control and monitoring. These modular smart factories will be able to autonomously enable the decentralization and automation of decisions regarding production as well as be able to communicate and cooperate via IoT with both human operators and other smart factories to complete a full vertical or horizontal supply change. In effect, this is like what the Information Technology industry has been doing with data centers for years: Virtualizing physical servers, enabling automation and orchestration technologies to allow machines to self-manage to a limited extent. And we continue to push these models to further advancements with software-defined networks (SDNs), hybrid clouds, and artificial intelligence (AI). But while data center virtualization may be somewhat mainstream now, the Industry 4.0 movement is still both new and largely unfamiliar to many. It is, however, growing in significance within the global manufacturing community. It began only a few short years ago, in 2013, when the German government coined the term while outlining a plan to fully computerize the country’s manufacturing industry. German Chancellor Angela Merkel then presented the concept at the World Economic Forum in Davos in 2015 and referred to it as “Industrie 4.0.” She spoke enthusiastically of this new model as a way to “deal quickly with the fusion of the online world and the world of industrial production.” And much of the industrialized world has seemed to take note. Far from political rhetoric, the German government is currently investing upwards of €200 million to encourage practical and actionable research across academia, business, and government. And Germany isn’t the only country where similar investments are being made. Interoperability: The ability of machines, devices, sensors, and people to connect and communicate with each other via IoT or the Internet of People (IoP). Decentralized decisions: The ability of cyber physical systems to make decisions on their own and to perform their tasks as autonomously as possible. Only in the case of exceptions, interferences, or conflicting goals are tasks delegated to a higher level. Data security issues are greatly increased by integrating new systems and more access to those systems. Additionally, proprietary production knowledge becomes an IT security problem. A high degree of reliability and stability are needed for successful cyber-physical communication, but can be difficult to achieve and maintain. In a world where organizations struggle to ensure both availability and security of the technology residing in their data centers, the idea of building cyber-physical applications that involve not simply software, but also industrial machinery and the additional responsibility of securing a factory where every machine, device, and control is now an endpoint seems to be the greater and yet-to-be-mentioned challenge of industry. All of this will need to run on a network, which means that figuring it all out and enabling these revolutionary changes will likely be the job of the IT department. Application performance management, in particular, in an Industry 4.0 world will be exponentially more complex than it is today. When a traditional software application goes down now or, even worse, is “slow,” it’s difficult enough to figure out what’s causing the problem. Most organizations have deployed an array of tools to help monitor and diagnose these issues and avoid the late-night conference calls where the application team blames the network and the network team greps through endless logs to prove it’s the database causing the problem, etc. Unfortunately, for many of these incident response teams there are still too many tools and not enough visibility to get the job done. 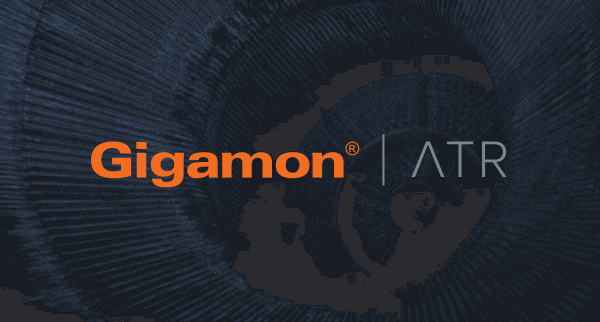 This lack of visibility problem can largely be addressed today by the Gigamon Visibility Platform, which provides an end-to-end view of users’ interactions with not only an application, but the complete infrastructure supporting that application. This allows IT to leverage diagnostic tools more effectively to solve these pesky application performance problems. But imagine a future, not so far from now, where IT departments are asked to diagnose the problem when a cyber-physical, fully-automated and autonomous assembly line goes down or, even worse, is performing “slow.” The entire assembly line and all of its physical components will be the new “application” and introduce complexity at a scale that will make traditional software applications seem simple in comparison. While the problem of monitoring and managing the performance of Industry 4.0 cyber-physical applications seems enormous, the solution is much the same with traditional network visibility. 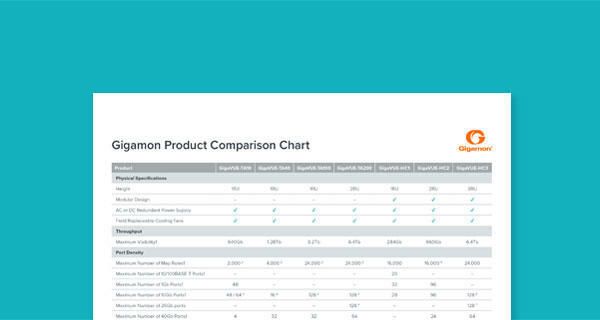 Tapping points of interest throughout the assembly line application and smart factory network, only the Gigamon Visibility Platform can continue to see what matters to operators and intelligently assist and enhance the ability of monitoring and diagnostic tools to scale to the tsunami level of data volumes that will likely result. Along with application performance issues, securing the “smart factory” will be a much greater challenge as well. Not only will there be the additional complexity resulting from adding machinery, sensors, and countless other IoT endpoint devices to the network, but the very nature of the Industry 4.0 model is based on intimately interconnecting and integrating not only trusted corporate networks, but also those of the entire vertical and horizontal supply. How then does IT secure “the network” when the concept of a perimeter is completely eliminated and the network now potentially spans the entire world? 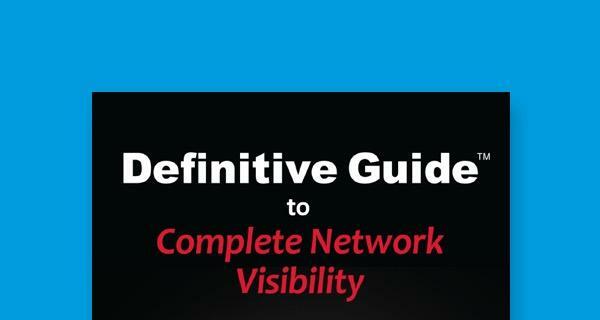 This is where traditional approaches to network visibility for security will begin to break down. A new approach based on a Security Delivery Platform will be needed to constantly monitor and provide intelligent data feeds to security tools in real time to keep pace with the volume and velocity of data generated by the smart factories of Industry 4.0 companies. In the end, where performance management and security intersect is at a trust level. Suppliers, factory floor operators, shipping and receiving, and consumers must have confidence and trust in the underlying systems that enable Industry 4.0 initiatives. Without that trust and strict adherence to service level agreements, as well as confidentially and integrity of systems and data, the Industry 4.0 model completely breaks down. Therefore, the challenge for IT will be to keep pace with developments and ensure that instrumentation and visibility at the network layer is not an afterthought, but rather that visibility and Security Delivery Platforms are integrated into the earliest stages of smart factory design. And it’s all happening very fast. Why? Because the first movers and adopters of Industry 4.0 concepts are expected to gain significant benefits from investments with some early forecasts indicating revenue gains of more than 30% and cost reductions of more than 30%. These financial incentives along with the imperative to remain competitive in the global market will drive strategic business decisions to embrace Industry 4.0 and like employees, manufacturers and governments, we in IT need to take note of this revolution that is forming and begin to prepare.